Most on-premise software vendors are ill-prepared for the universal shift to the SaaS pricing model. The days of sitting back while collecting profitable “service and maintenance” dividends are coming to an end. 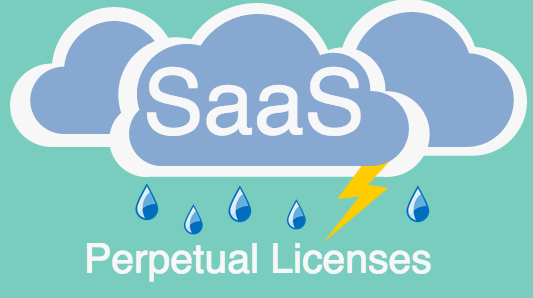 Transitioning from a perpetual licensing model to a SaaS model is a difficult task. Without a thoughtful, measured approach, software giants will be unable to smoothly and successfully re-join the ranks of faster growing SaaS companies. At Price Intelligently, we have noticed some key knowledge gaps we wanted to share in the way that the largest on-premise software vendors think about their SaaS transition. Below are a few major questions and considerations your company and teams needs to be aware of during this transition. In a vacuum, the world of perpetual licenses is hauntingly beautiful in its simplicity: Build software and sell a client as many individual licenses as they need. When those individuals need to upgrade, you just sell them more software. Things can be a bit more complicated if you offer service and maintenance plans on top of the software for bugs and minor upgrades. Yet, perpetual licensing has straight forward pricing and scaling. On the other hand, SaaS pricing is much, much more complicated. The complexity of SaaS pricing fortunately brings an amazing amount of upside. Similar to the fact that SaaS allows you to be more nimble in your production and shipment of software, your SaaS pricing can rapidly evolve. You don’t have to pack all of your product's value into one single number and you don't have to wait years between upgrade cycles. With SaaS pricing, you’re able to charge for anything you want and can capture so much more value than you previously were able to through perpetual licenses. For example, previously selling a video analytics product in a perpetual world meant you theoretically were selling to Disney and Price Intelligently at the same price. In order to accommodate Price Intelligently and smaller companies, you are leaving an enormous amount of cash on the table with Disney — who has many seats. However with a SaaS model you are able to charge for usage, and more innovative value metrics. And most importantly, these charges allow you to get the multiples on your unit economics to momentously build your business. Here’s the problem: Most companies selling perpetual software have zero experience in SaaS pricing. Instead, they base their pricing on the financial engineering of spreadsheets. The results are pricing models that are exceptionally confusing, AND only work in the context of perpetual licenses. These companies miss the market and inevitably have to pay their way out of the transition. Biggest takeaway: Make sure your pricing team is approaching SaaS pricing without the same perpetual pricing assumptions. If you don’t do this, you’ll inevitably get into a situation like Adobe or Microsoft who had some pretty disastrous SaaS transitions. Furthermore, your value metric is going to be incredibly important. Get it right and you win the SaaS game. Get it wrong and you head into a two year transition of missed earnings reports and frustrated board and C-teams. In the SaaS world, the key is to serve multiple buyers personas with different pricing preferences. Even if you get your value metric and pricing strategy relatively correct out of the gate, major problems can come into play when transitioning your marketing, sales, and product marketing teams to the new model. These teams must be prepared to understand the new pricing, but also how to communicate the changes to existing customers. To combat this, some companies simply choose to not offer perpetual licenses any longer. Adobe found this transition to work relatively well with definite backlash from a crowd that didn’t want to be coerced into a subscription, but the product was premier enough that living without Adobe was worse than being on a subscription. The other way up the mountain that becomes exceptionally more complicated is simply offering multiple options for customers. Autodesk and Microsoft are currently doing this with different transitions. The problem exists when you start to look at their product marketing. Notice how in the image below you’re presented with some incredibly confusing choices. Sure, to software folks like you and me we understand the nuances of a perpetual license versus a SaaS one. Yet, to a prospect that breathes CAD, you’re adding so much unnecessary complexity to a sale. 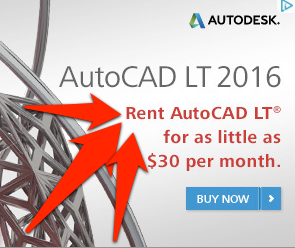 Interestingly enough, this post actually was inspired by the amusing ad below from Autodesk. The chuckle stems from the fact that anyone who started buying software in the past 15 years doesn’t understand what “renting” software means. We just buy software via subscriptions. If you’re not going to force them to transition to one place, then you need three different types of landing pages, with three different main funnels, and three different strategies that unify under your acquisition team. 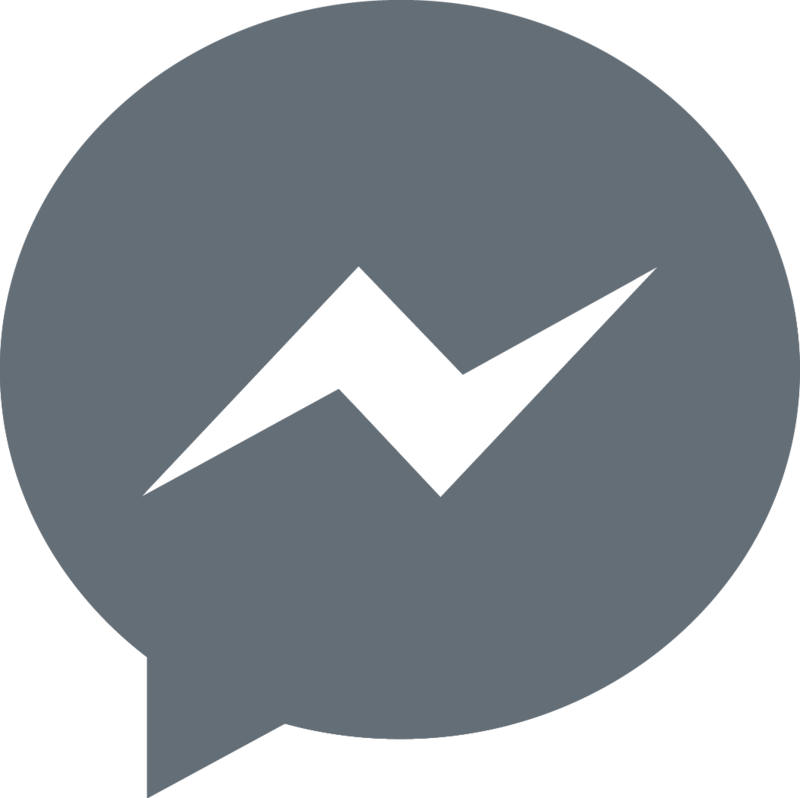 We collect data from your customers to understand the exact features that they value the most. The process and subsequent analysis helps us to identify which group certain types of customers fall into. In the end clear funnels that speak directly to each type of customer allows for a near seamless transition. 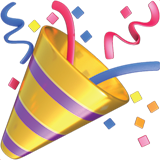 This is because there is value in still offering perpetual licenses. We’ve found in spaces like the MSP, healthcare, and DevOps markets that companies are willing to pay a premium for a perpetual license over a SaaS subscription. Yet, you can’t market and communicate with everyone in the exact same manner before simply showing them three choices they may not even understand. Biggest Takeaway: Segment. Segment. Segment. Don’t treat everyone the same, especially when going through a perpetual to SaaS transition. If you can get away with forcing everyone on to the platform, great, but make sure you’re not throwing away a market that could still breed dividends. One of the largest problems we see in the transition from perpetual to SaaS is misalignment of expectations between the reality of making this transition and what the C-Team, Board, and Wall Street want to see out of a company. While obviously those three groups should always have high expectations, transitioning from a perpetual to SaaS focus can have a devastating impact on earnings and forecasts. Without all that cash upfront from a perpetual sale, you end up having to retool the leadership’s view from raw revenue to MRR, ARR, LTV/CAC, etc. It’s sad to say, but old school software companies don’t understand these concepts. The challenge can be showing how a high LTV product that comes from $50/month is actually better than getting $600 up front when there is no guarantee the customer will come back for the next version. The result of this misalignment is that companies try to hold on too much to the old guard of perpetual software, resulting in incredibly confusing messaging. In some cases, companies may have to sack many members of the leadership team who just can’t keep up or see how antiquated earnings models aren’t going to get the company to the next level. To combat this, you can’t hold on to the old guard at the expense of the new SaaS world. You’ll end up botching the transition which will inevitably cost an intense amount in cash, time, and personnel. Instead, make sure everyone’s aligned, from the tip top of the building, down to the front line sales and marketing team member. Biggest takeaway: Communicate the reasons and importance of the transition, the changes in revenue, and how it serves customers better. With all the confusion surrounding the perpetual to SaaS transition, not everyone is going to understand or be on board with a lot of the decisions being made and the positive future implications of the changes. SaaS is the future. We’ve known this for at least ten years. If you don’t transition and manage the transition appropriately, you’re going to end up burning out as a company to the point that you may crumble under your own deflating growth. 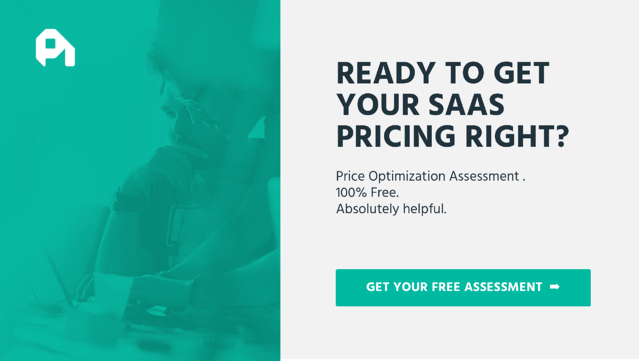 We’ve shaped and perfected the pricing strategies of SaaS companies to make sure that they grow quickly. Now we’re helping the software giants make the same move so that they can keep their customers and thrive in the new world of SaaS.